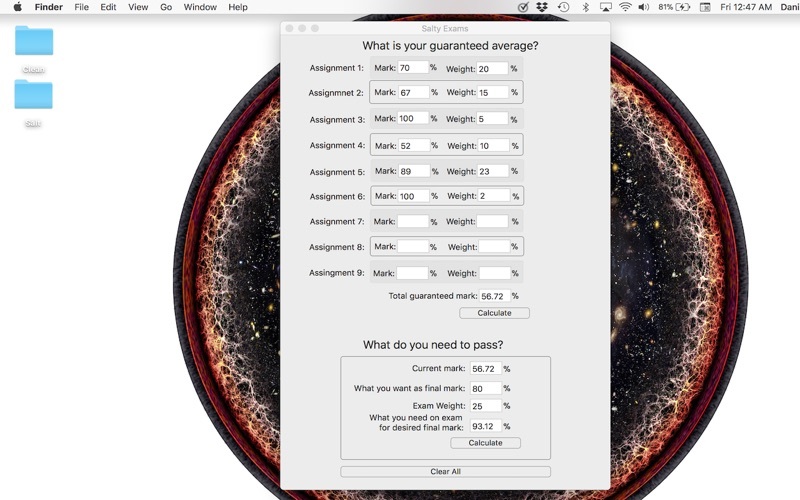 This widget allows you to calculate the total guaranteed mark that a student has, based off their past assignment marks and what each assigned is weighted. 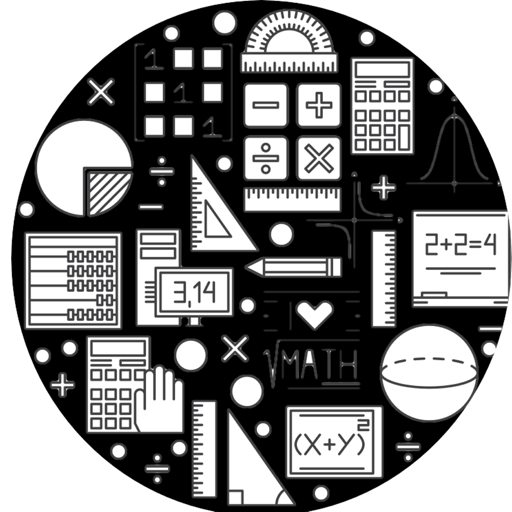 Are you crunching numbers to determine if you'll make honors (80%) or even pass a course (50%)? These desired marks can be input, then this widget calculates what you'll need in the exam to attain this desired mark. This version allows for calculating averages for up to 9 assignments, instead of just 6 in the previous version. It also has a more neat interface.